Fundraising for funding to enable our competition team to make it down to Portsmouth in March 2018! We're aiming to raise £900 to enable to take our competition team down to Portsmouth, for our entry for the Masters of Show Choir competition. I'm Molly, and I'm the president of Show Choir Society 18/19, and my co-pilot is Alicia Williams, who is our musical director for our choir. 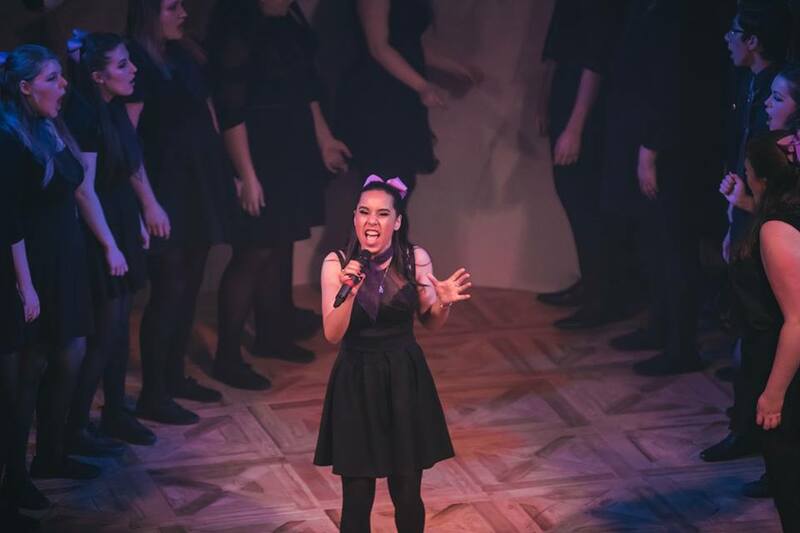 Show Choir Society was ratified in March 2016, with the intention to bring the likes of US TV/singing groups like Pitch Perfect, Glee Club and Pentatonix to Essex, UK! We are the only society in the whole Societies Guild with a performance society as specific as this. 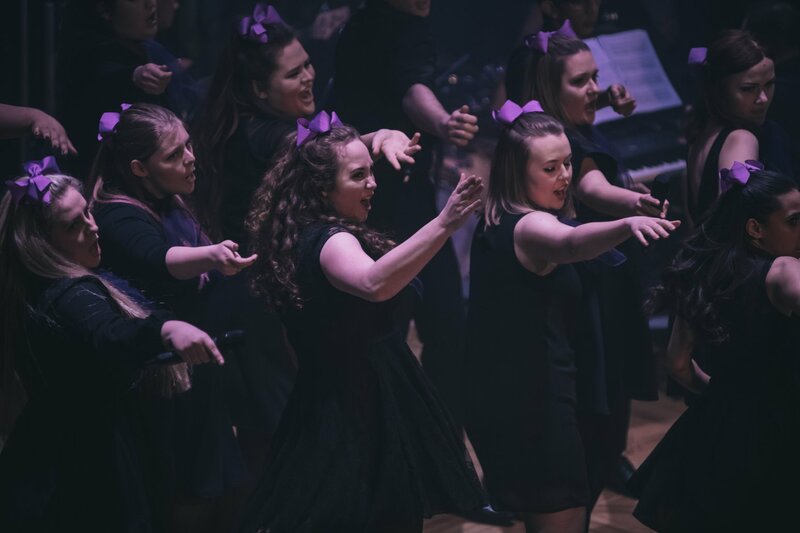 Last year in March 2018 we took our competition team - The Essex Echoes: Licence to Trill - down to London to, what was marketed as, the last ever Masters of Show Choir competition, which was created in 2012 and originally hosted and created by Angus Wyatt who was a student at Royal Holloway University and wanted to see a similar competition in the UK like the US has for acapella and show choirs. Our set comprised of songs from Destiny's Child, Christina Aguilera, Hairspray the Musical and The Greatest Showman. Sadly no trophy was taken home - however, as our first year as a Show Choir, we received some pretty amazing comments from the judges. However, since this summer, we were informed that the competition is making a comeback on 24th March 2019 - this time hosted by Portsmouth University Show Choir - and of course we snapped up this amazing opportunity! Since last academic year, we have made huge strides in our knowledge and performance as a show choir. 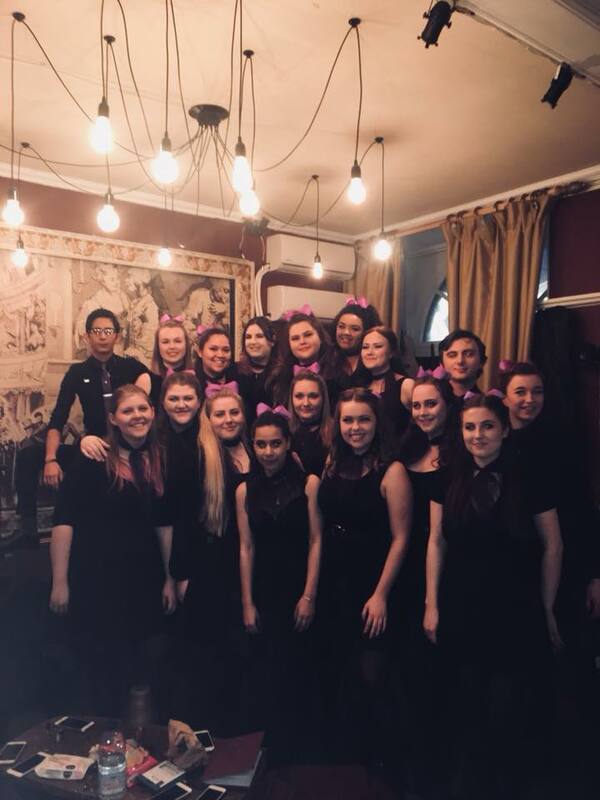 Our choir consists of seventeen hard-working, talented and wonderful Essex students - you can check out who they are on our dedicated Essex Echoes Instagram account - @essexechoes. Taking our team down to Portsmouth is such an incredible opportunity for us to give; a memory they will treasure as a massive part of their university career. Art, music and performance is something everybody should indulge in, whether this is just by appreciating it or being able to showcase your talent. 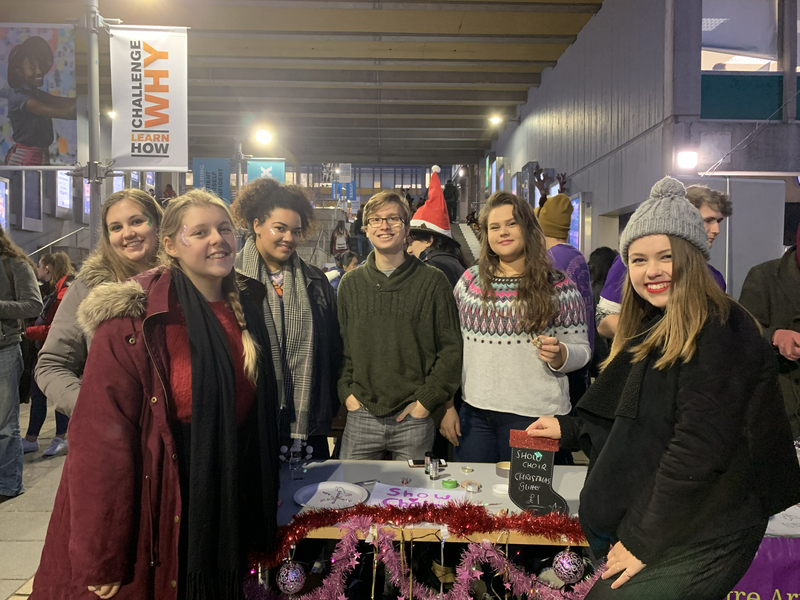 If you donate to our society, no matter how large or small the amount, it enables us to make the competition journey - both metaphorical and physical - more financially viable for us as students lacking funds. We have already scraped through our competition entry fee from our society's budget, so being able to raise money to pay for costumes, travel and accommodation will take a huge weight off our exec and the member's shoulders when it comes to monetary contributions. If it results in us raising more than our target, then we will either: donate any excess to a charity, which will be decided by the executive team; or use the funding to put on another show at our university campus. We will update people monthly on our fundraising progress. If you donate £20 or over to us, you'll get a special 'thank you' video from the choir! Over £50 and we will order you your own Show Choir or Essex Echoes beanie hat/cap/gym bag! Please share and talk about our Click Fundraising page wherever possible so we can get the best support. If you donate £10 or more, we will send you a personal thank you for donating. If you donate £15 or more, we will give you a personal shout out and thank you on our social media. If you donate £20 or more, you will receive a personalised thank you video from the choir and a shout out on our social media. If you donate £50 of over, you will receive a complimentary Show Choir gym bag or beanie hat, or an Essex Echoes beanie - as well as a personalised thank you video from the choir and a shout out on our social media. If you donate £200 of over, you will receive a complimentary personalised Essex Echoes or Show Choir hoodie - as well as a personalised thank you video from the choir and a shout out on our social media.